To mark the 150th anniversary of the end of the American Civil War on April 9, 1865, the Museum has placed on display its only photograph of Abraham Lincoln, which shows the president posed with Union troops at Antietam. The photographer of the plate, Alexander Gardner, was known for taking some of the most affecting images of the war. The realities of camp life and the carnage of the battlefield were among his many subjects, but he was perhaps most recognized for his portraits of Lincoln. 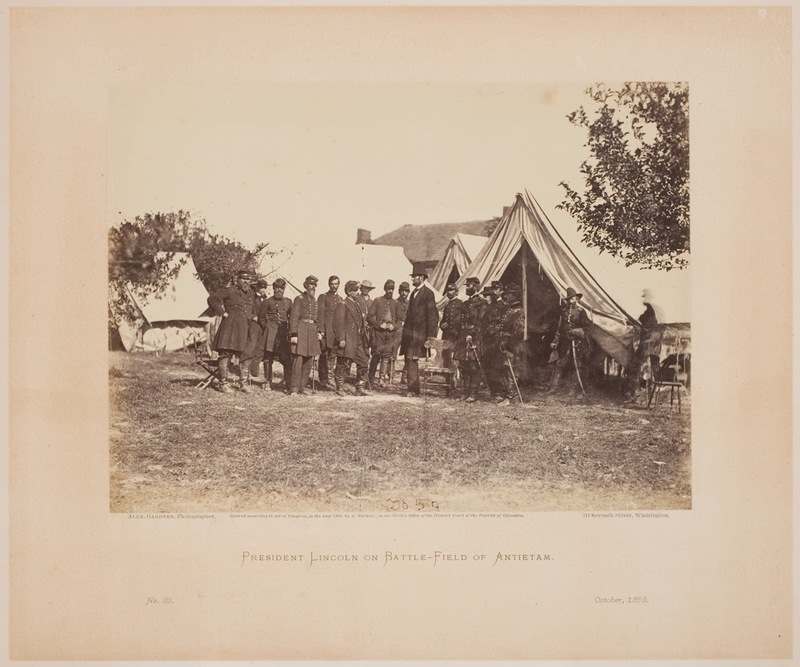 The Museum’s plate was one of a hundred photographs included in Gardner’s Photographic Sketch Book of the War (1865–66), an illustrated, two-volume work intended as a history of the conflict and its aftermath. Curiously, Gardner made no mention in the book of the president’s assassination on April 14, 1865—less than a week after the war’s end—and instead portrayed him towering over his soldiers, still very much alive. View the photograph on the second floor outside the Knights! gallery.